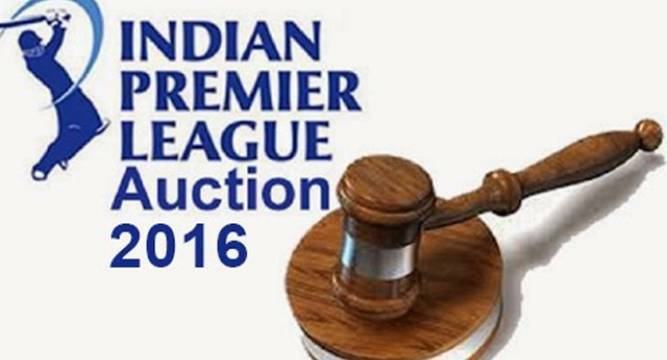 The auction for Indian Premier League (IPL) was schedule on 6th February 2016 9.00 a.m. (IST) and the live telecast was aired on Sony Six in India and NeoSports in USA. As the IPL Auction 2016 is already completed and fans of cricket around the world wants to know who becomes the most expensive player in IPL 2016 and which team buy that player? In IPL auction 2016 Shane Watson becomes the costliest player while Youvraj Singh becomes the highest paid Indian player the complete list of players is listed below hope you like and enjoy it and don’t forget to share your comment at bottom of the page as it helps to motivate to work more hard on such topics. We have made this list of sold players in IPL auction 2016 highest to lowest and this IPL we will see a new team as well. So without anymore delay lets move to list of IPL auction 2016 sold players.